A New York landscape company makes a name for itself by putting its region’s pristine waterway first. 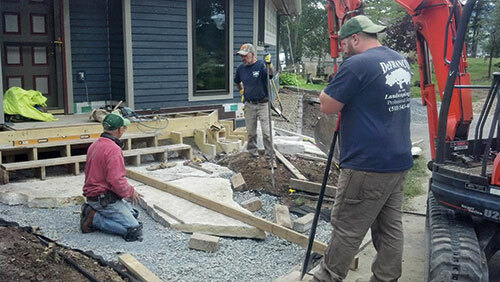 More than 90 percent of DeFranco Landscaping’s clientele is located on or near Lake George, a 32-mile-long watershed located at the base of the Adirondack Mountains in northeastern New York. Nicknamed “the Queen of American Lakes,” its water is classified by the state as “AA-Special,” meaning it’s pristine enough to drink. But pollutants from erosion and stormwater runoff, as well as threats from invasive plant species, are starting to take their toll on Lake George’s superior water quality. So, the DeFranco Landscaping team is on a mission to turn things around, doing its part to protect the region’s ecosystem while stressing the importance for others to do the same. David DeFranco, a former science teacher, started the Hague, N.Y.-based company in 1984 with a goal to provide high-quality customer service while protecting the beauty of Lake George. While DeFranco grew up in the business, he took time off to earn an engineering degree and start a consulting business. He came back to DeFranco Landscaping in 2010. As a licensed engineer and an expert in stormwater design and permitting, DeFranco has used his skills to help the firm stand out as one of the premier landscaping companies in the basin, recognized for its dedication to preserving the natural ecosystem. DeFranco Landscaping specializes in stormwater management, erosion control and native plant installations. 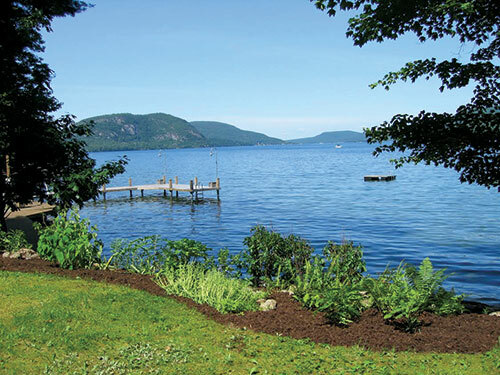 Among other services, the company installs shoreline buffers, rain gardens and vegetated swales that help protect the shores of Lake George from erosion and minimize sediment, nutrients and other contaminants by filtering the runoff before it enters the lake. The company’s service breakdown is 60 percent maintenance and 40 percent design/build, provided to a 70 percent residential, 20 percent commercial and 10 percent municipal clientele. Lake George is heavily regulated, DeFranco says. For example, in 2011, the Town of Lake George passed a law prohibiting phosphorous fertilizers along the shorelines of Lake George. A similar phosphorous ban became New York state law in 2012. Boats must now be inspected by vessel technicians before each entry into the water to prohibit the transport of aquatic invasive species into the lake. DeFranco says that because of his company’s sustainable practices, it has already been in compliance with most of the regulations that have arisen. Although specializing in lake-friendly practices has helped the company find a niche in an otherwise competitive industry, it hasn’t come without its challenges. DeFranco says the company’s philosophies have attracted a few employees, particularly college students who “want to feel like they are making the environment better,” but the company still struggles to find quality staff. It also has to interact with potential customers who may not agree with or understand its eco-minded approach to lawn maintenance and request traditional methods to achieving a perfect lawn. “It’s a double-edged sword because people still call us wanting fertilizer and a weed-free lawn,” he says. “It’s difficult for us because we put a line in the sand. We get more phone calls than you would think from people wondering why we can’t do certain things. DeFranco Landscaping’s alternative approach to lawns is also influencing other area landscape companies. A few years ago, most people weren’t thinking about the impact that phosphorous fertilizer was having on the rest of the ecosystem, but that mindset is beginning to change, DeFranco says. And that, he adds, is a really good thing. When it comes to using native plants, DeFranco Landscaping has an award-winning track record. 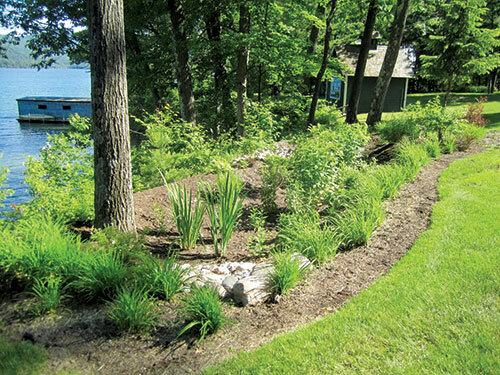 In 2010, the company, based in Hague, N.Y., received the Frank Leonbruno Memorial Lake Stewardship Award from the Lake George Watershed Coalition for its use of native plants in shoreline buffers and rainwater gardens around Lake George, one of the most pristine bodies of water in the U.S.
• Do your research: Nearly every region of the country has an environmental group or agency that can recommend plants native to the area, DeFranco says. There is also a lot of regionally-based information available online. • Start small: DeFranco recommends first taking on a small project and learning from its results. There isn’t a lot of information readily available about native plant design guidelines, so trial and error can be key, he adds. Using native plants that require less water and less fertilizer is a growing industry trend that doesn’t just makes good business sense but good environmental sense, too, he says. Schappacher is a freelance writer based in Charlotte, N.C.